"Professor Nartey empowers female athletes in the classroom. "Occidental has a queen on campus. Professor Myralyn Nartey was only 15 years old when she joined the Ghanaian women’s national soccer team, or as they are commonly known, The Black Queens. She was with the Ghanaian Black Queens in the 2002 FIFA African Cup of Nations as well as the 2003 FIFA Women’s World Cup and has since taken her experiences from the soccer pitch to the classroom." "Kofi Nartey, MBA, played football at UC Berkeley and also spent ten years as an actor before becoming National Director of the Compass Sports and Entertainment Division. 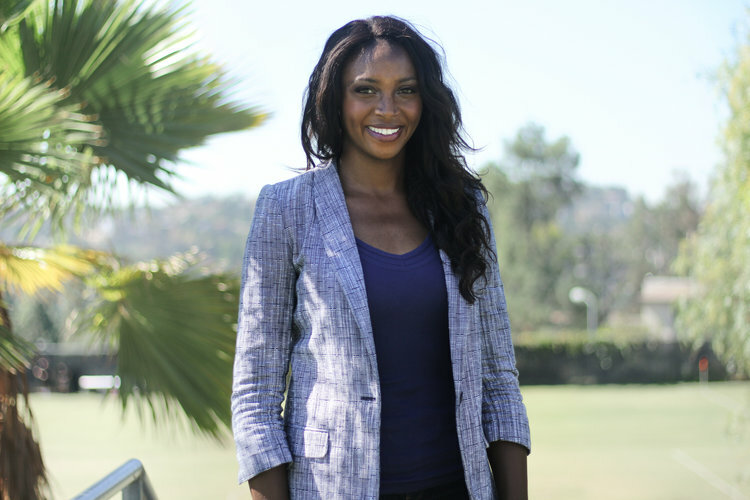 Dr. Mimi Nartey is an accomplished athlete, model, and Columbia University graduate who is an Adjunct Professor of Sustainability at Occidental College and Loyola Marymount University. She is also the Founder and CEO of Race, Class and Parenting. This talented and ambitious duo combine their strengths, compassion and humor to reach their potential, which is key to their success at work and in life. 'The fact that we both appreciate diversity of thought and experience is our unifying bond,' Mimi says. 'Kofi gives our family wings, while I give us roots.' 'Our sports backgrounds make us a team,' Kofi adds. 'We flow seamlessly together through our various identities: Some days we are Barack and Michelle; some days we are Jay-Z and Beyonce.'" "Myralyn "Mimi" Nartey: For Former Pro Soccer Player, Future Kicks Will Promote Health Among African Girls"